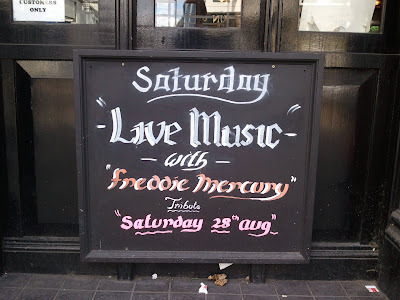 The “Blog” of “Unnecessary” Quotation Marks: zombie freddie mercury! 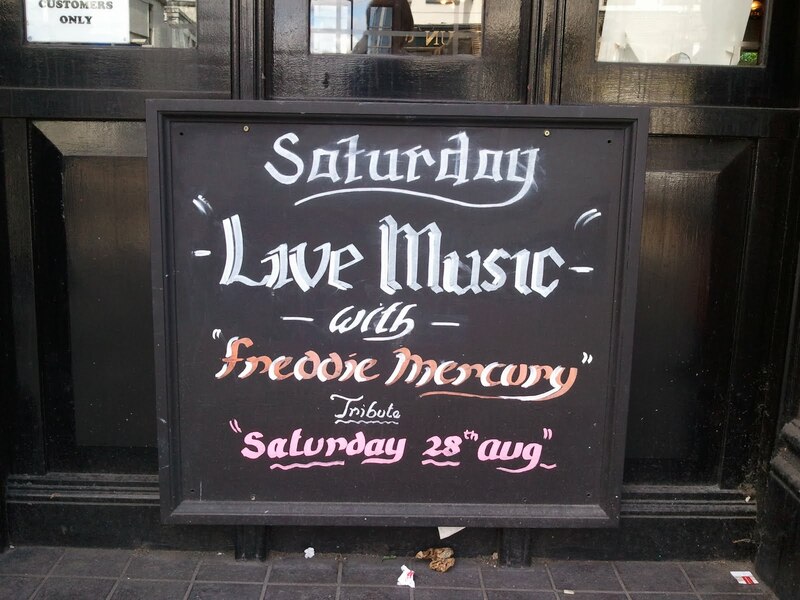 OK, so the cover band makes one set of these quotation marks ok, but the ambiguous date really makes the whole thing seem a lot more sinister. Thanks, Peter. "Live Music" is an album and they play it everyday.